I’ll be honest: I was really, really bummed a few weeks ago to have to miss my favorite running event of the year. So much so that I backed off of my running, which is so not me. Compounding that wave of sadness was seeing happy social media posts from countless friends who had recently completed races while I moped on the sofa. I was feeling left out. Left over. Left behind. And then I knew I needed to pick myself up, dust myself off and hit the road, one foot in front of the other. Cute clothes never hurt that mission, either. I’ve been wearing Brooks running shoes for several years, faithfully rotating out worn pairs for new ones, but inexplicably, I don’t think I’ve ever owned any other Brooks running gear. 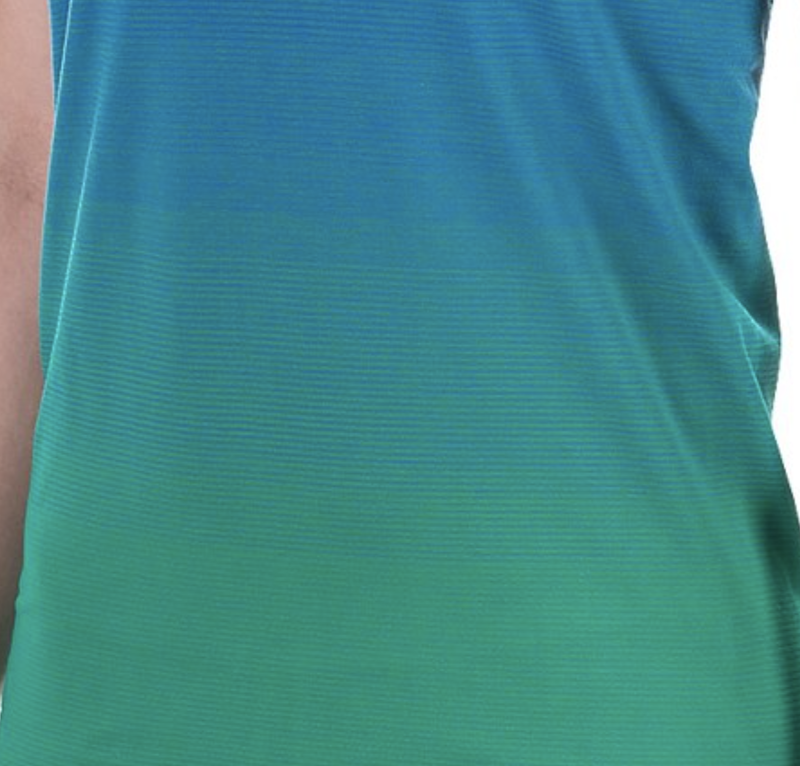 The shirt is called the “Streaker.” I’ve now seen it in both short and long sleeve versions, as well as tanks. 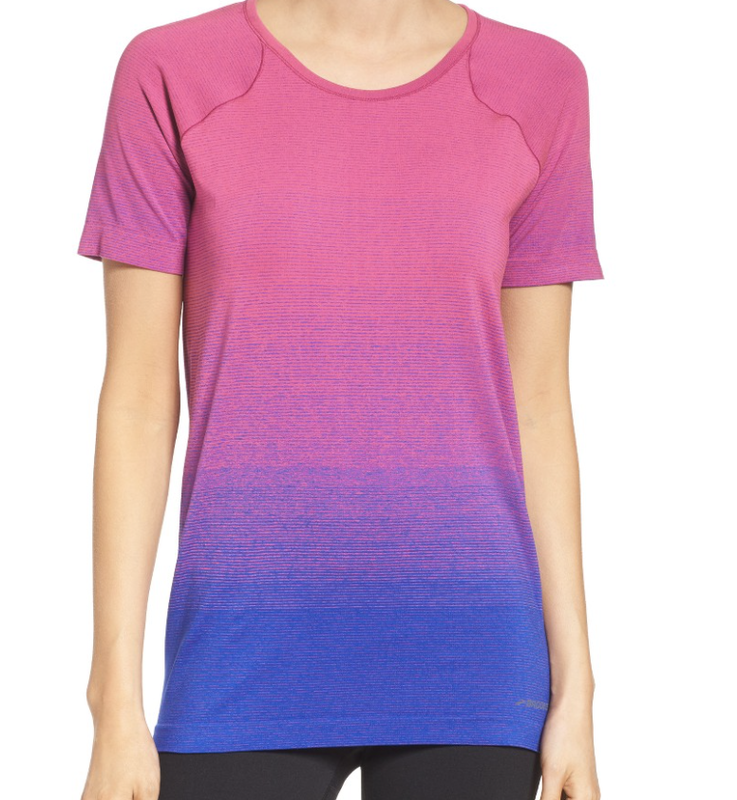 While I purchased the pink/cobalt combo above (and the colors are so gloriously bright in person; I love this shirt), it is also available in a red/orange pairing and a seafoam/turquiose one. The shirt is moisture wicking and made of antimicrobial fabric, so here’s hoping that it wards off perma-stink for the entire summer and fall running seasons. And let’s talk about those capris. 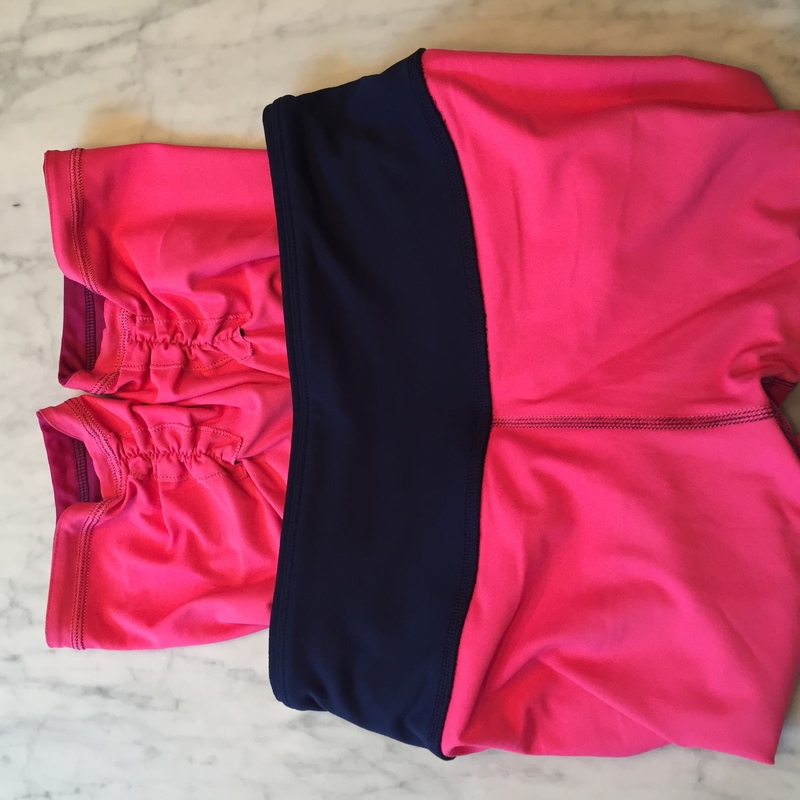 The “Go-To Running Capri” comes in this awesome hot pink color (boringly called “641” on the Brooks website), as well as black and navy. The fabric is really smooth and these capris have two pockets in the waistband to hold money, keys, etc. I love this feature. The pockets are also trimmed with fluorescent yellow fabric, which is a cool contrast IMHO. 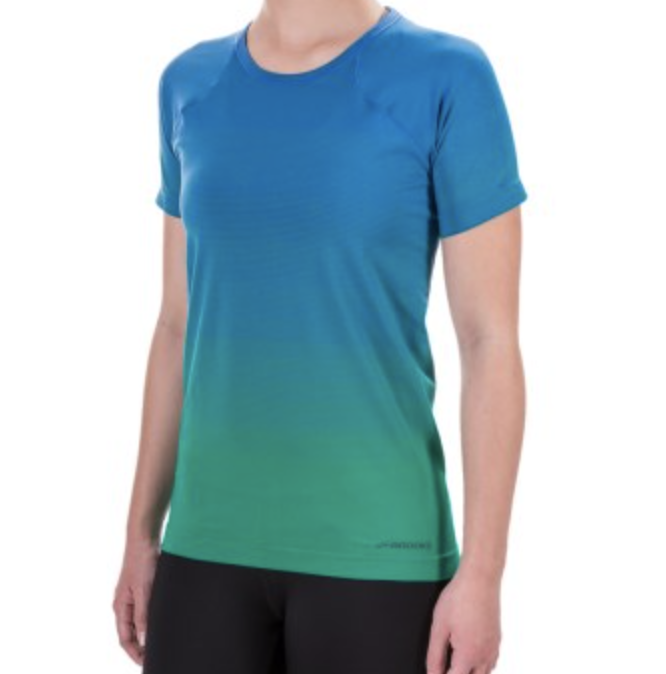 While I ordered the above directly from Brooks (the shirt was on sale but looks like it might be sold out now), I also found some screaming deals on Brooks gear at Sierra Trading Post, Amazon, 6PM.com, REI, and even Nordstrom. At Sierra Trading post, I was able to get this cute pair of capris for over 50% off retail and also score this tank for less than $10. And here was a surprise: they are reversible! I like the striped side better, but the pink/navy is also nice. 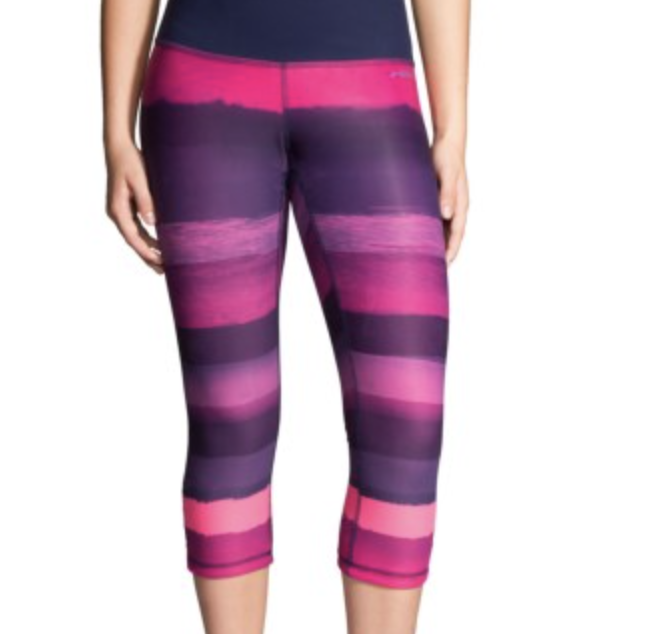 Since they are reversible, the capris are also just the right amount of thickness. Not too bulky to be hot, but also not too thin to venture into transparency. Nobody wants that look. The fabric is the same silky smooth knit as the first pair of capris. They have a wide waistband that I appreciate and also come with a pocket for essentials. I am hoping this new gear gets me set and in the right frame of mind for fall marathon training. I ended up hitting the trails three times over the weekend, so I am feeling positive and off to a good start. What is your favorite brand of running gear? On Friday I mentioned that for the races I’m doing this weekend, I bought a new pair of running tights from the Gap. 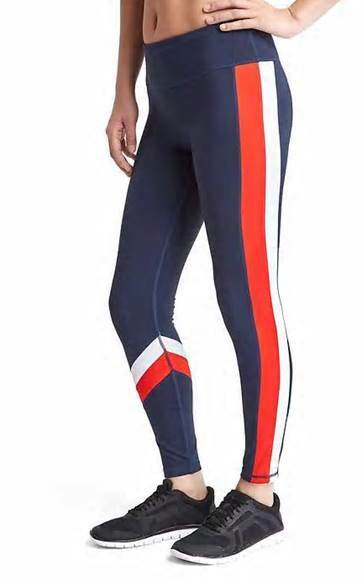 These striped leggings caught my eye due to their retro appeal. The fabric also features blackout technology, which is designed to be opaque and avoid the dreaded see-through Lululemon effect. 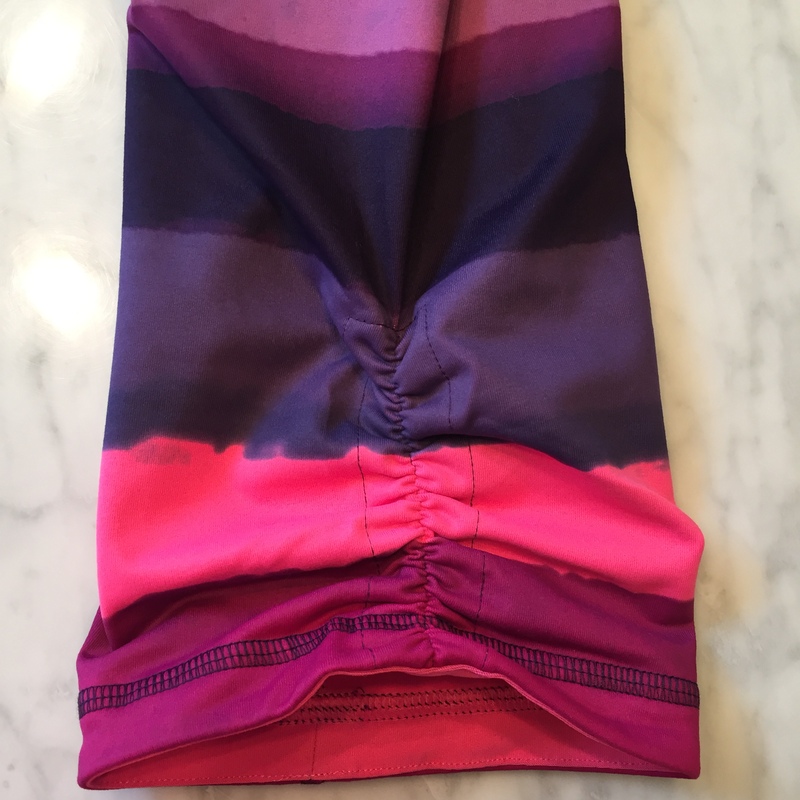 What I liked the most about these pants – aside from the fact that they look cool – is the rear zip pocket, which is critical for holding gels, lip balm, hotel keys and other necessities for running a destination distance race. Since I got these for 40% off (during one of Gap’s nearly ubiquitous deals), I added a matching space-dyed half-zip pullover. 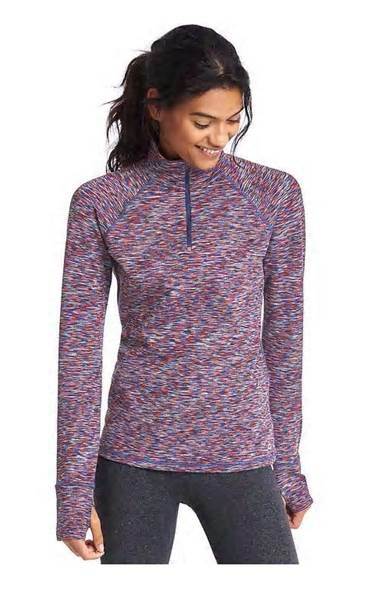 (As I was putting this post together I saw that this pullover was listed as one of Oprah’s Favorites for 2016, which apparently means I have excellent taste. Ahem). 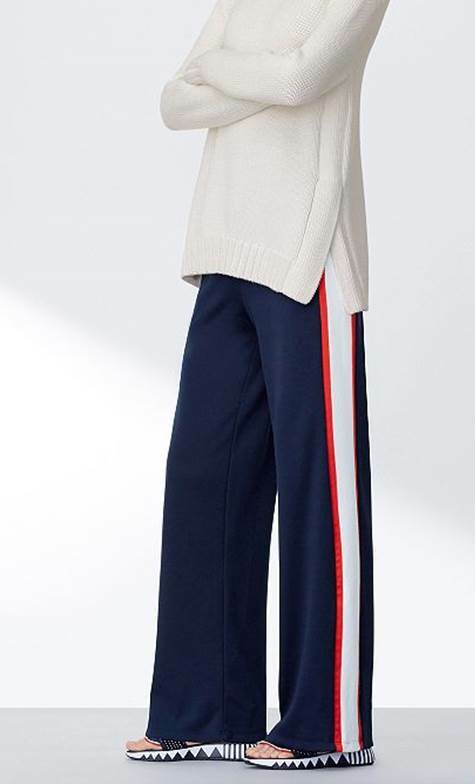 These pants retail for $64.95, but since Gap routinely runs deals ranging from 25-40% off, you could realistically get them for a lot less. I paid about $39, which was an acceptable number to me. The major difference (besides width) is that the Tory sport pair retails for $135, which is a price I equate more to items in my work or special occasion wardrobe than things I will get sweaty.